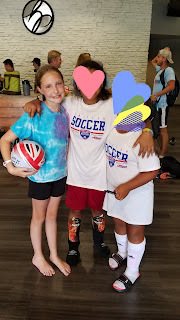 My kids were able to go to the Challenger Sports Soccer camp for a week and they had a blast. The twins didn't go, but they wore soccer shirts in support. The older 2 said it was hard work, but fun. My kids have not played a sport for several years, so I bet it was pretty tough for them. 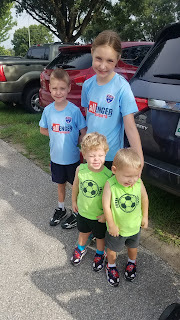 The last time they played soccer was 2015 when I got pregnant with the twins. The FL heat did get to my daughter the first day and her coach was great with her. She had a bad headache and he called me "straight away" to come get her per her request. It was only about an hour early. Their coaches are from Scotland. The other coach is from Hong Kong. Even after the first day my son was showing me some of the skills he was learning and I was impressed. They didn't really practice a lot of skills back when the played at the Y. It was mostly recreational and indoors. They are considering joining a team this fall! I highly recommend this summer camp. They got a jersey, a t-shirt, and a soccer ball that they used throughout the week. Lots of friendships were formed! Our summer is mostly over, but there are still some camps available in other areas. If not near you, there's always next summer. It's a great way to get some skills and learn about other cultures. My kids are repeating some typical British phrases which I love. I'm not sure if it is too late to get the free stuff for signing up, but below is the sign up link. Sign up now or save it for next summer. 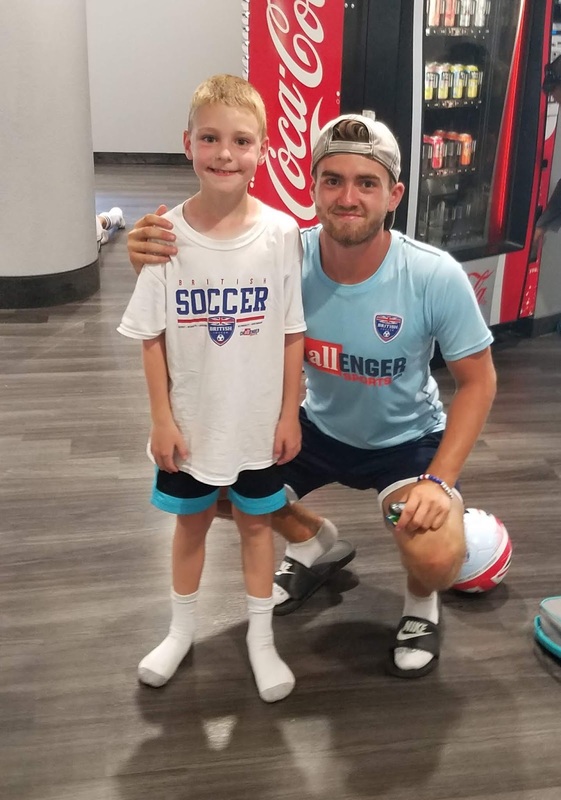 Register now and you will not only get your free British Soccer game jersey (value $34.95) shipped to you for free immediately, but you will also get our brand new skill development App and 20 videos to help your child practice at home. Your soccer ball, T-shirt & poster will be given out at camp.